At my sister technology blog, I posted a blog about the various types of modern language apps. My greatest fear about mobile learning is that we will turn mobile learning devices into drill and kill machines instead of using them to engage the student in communicating and reacting to culturally authentic material. If you do use mobile learning, which different apps do you use? How does each help your students to communicate better? Do your students spend more time communicating in the target language when using mobile learning or in creating something that has very little actual communication? Do your apps involve your students in the current culture of the language area? Students need language input as they start out in the language. 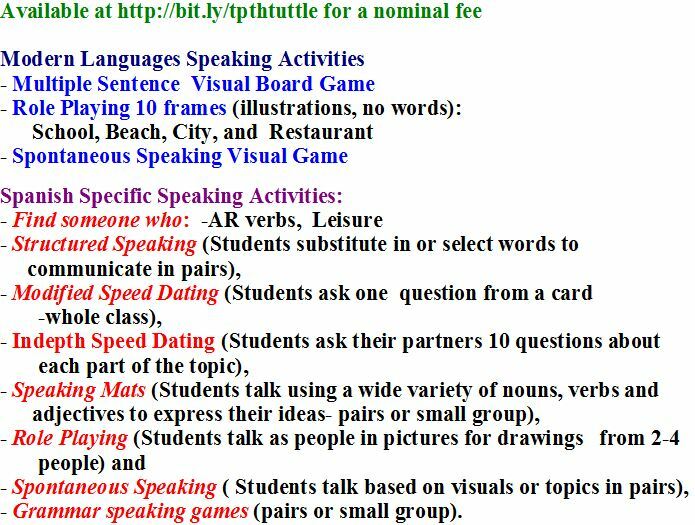 A major goal of the modern language classroom is for students to speak (Krashen’s comprehensible output or Swain’s students learn to talk by talking), therefore, students need to talk more. However, they can only speak more when the teacher speaks less. 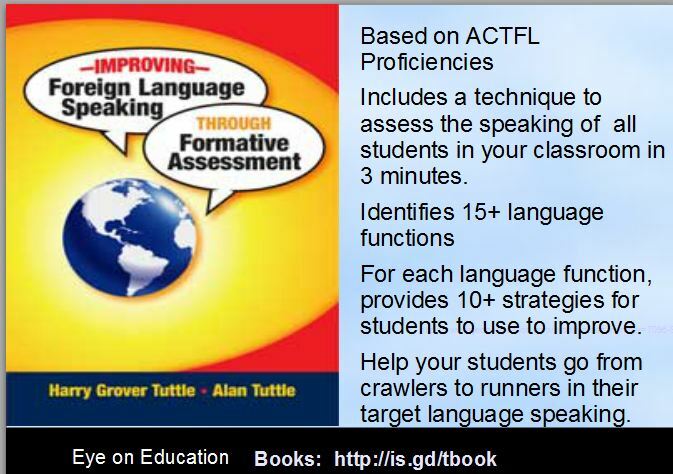 The more the modern language teacher talks, the less opportunity the students have to speak. Furthermore, the more foreign language students speak in pairs, the more they speak. If students only talk when the teacher calls on them, then they get to speak every 26th time (if there are 26 students in the classroom). On the other hand, if the modern language teacher has the students work in pairs, virtually all students are talking at the same time. Some quick math will reveal the efficiency of pair work. If the teacher has each of 26 foreign language students speak individually for one minute, it takes 26 minutes or 52% of a 50 minute class period. If the teacher has students speak in pairs, then 26 students can each speak for one minute for a total of two minutes or 4% of the class.